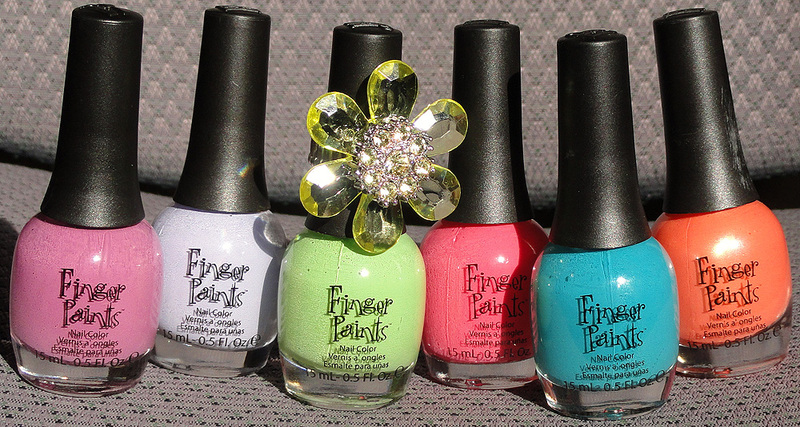 Today I have the new Spring FingerPaints Palette of Petals collection, exclusive to Sally Beauty Supply. Let's start with my favorite shall we? Did You Ast-her Out? is a gorgeous jelly crème bright medium pink. Love these colors for springtime! 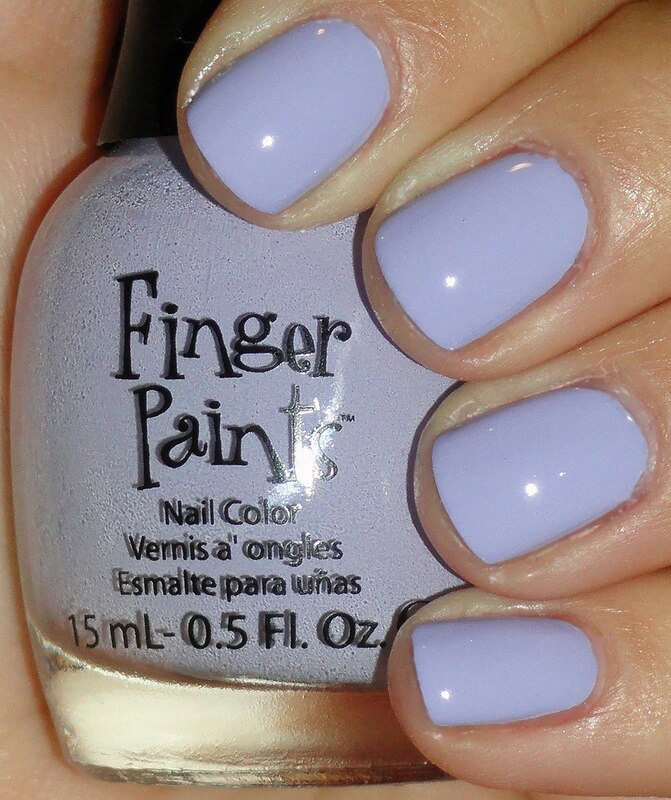 This had a fabulous formula and was nice looking at two coats but perfect at three. Oh btw, I used a topcoat with all of these swatches, even though I usually don't. They don't dry terribly shiny on their own. Chrysanthe-mum’s the Word is a bright mint green crème. The formula on this was a tad thick but still reasonably easy to work with. Very spring-y and nice. Three coats. Aren’t You Glad-iolous? is a funny name, especially if you said it with a pause where the dash is. If you don't, it's alright. I enjoy Gladiolus flowers, they're very pretty. Too bad I didn't care for this polish all that much. I found it very streaky and thick, and the color looked atrocious on me. Three coats. I thought I would love Dahlia My Number, but I didn't fall head over heels with it once I had her on. It's the only non-crème in the collection, a mid-tone orange with brighter goldish-orange finely ground shimmer. I needed three coats to get this to look opaque so I'm not terribly impressed. On the other hand, I wasn't sure if I would like Heavenly Hydrangeas, but I ended up really liking it. The "rose" shade, as it was described, looks more like a purple magenta crème to me. This looked great in two coats. What's the verdict on this bright Spring collection? Any favorites? Oh yeah, how cute is that flower ring?! I only got one but I assume they will be sold one to each bottle :) Adorable!